Audi's top trim supercar races the middle of the pack Mercedes-AMG, thankfully not for pink slips. 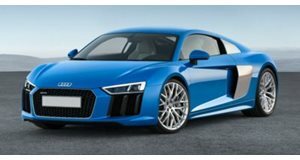 Auto Express and Auto Car must have an Audi R8 V10 Plus in their long term press fleets because as we’ve seen throughout the last few months, their drag racing series have been filled to the brim with the German supercar. The R8 has raced its own sibling, unlikely competitors, and now, a Mercedes AMG GT S. We haven't seen much of the GT S but we think it's time to give it some airtime. On initial impression, the Audi seems to have all that it needs to beat the poor AMG and then turn around and humiliate it again. 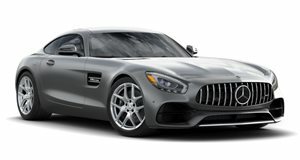 Not only does it weigh nearly 100 pounds less, but it makes 23 horsepower more and sends that power to all four wheels rather than lighting up the rears like the AMG GT does. On paper, the AMG is set up to fail. But guess what happens? Well, unfortunately it does fail, and by a huge margin. We’re talking a 0.7 second loss, which might not seem like much but in supercar land, that’s more than enough time to get a substantial number of car lengths ahead. A more interesting duel would have been to put both cars on a track. We reckon that the Audi would still beat the AMG thanks to its lower weight and all-wheel drive but keep in mind that the V10 Plus is the top trim R8 while the AMG GT S has its bigger GT R sibling to look up to. Next time pick on someone your own size, Audi.